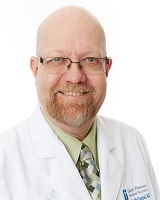 Dr. McDaniel worked in Erin, TN, until 1985, when he joined Dr. Hal Hooper and Dr. Wayne Hooper at Family Practice Associates. Family Practice merged with Internal Medical Group in 1997 to form Sumner Medical Group. He and his wife have three sons. They make their home in Hendersonville..